***1 FAMILY OWNED, LOCAL TRADE!!! *** We are pleased to offer this well maintained 1999 GMC Sierra 1500 Ext Cab 4WD complete with the 5.3 Liter V8 engine. 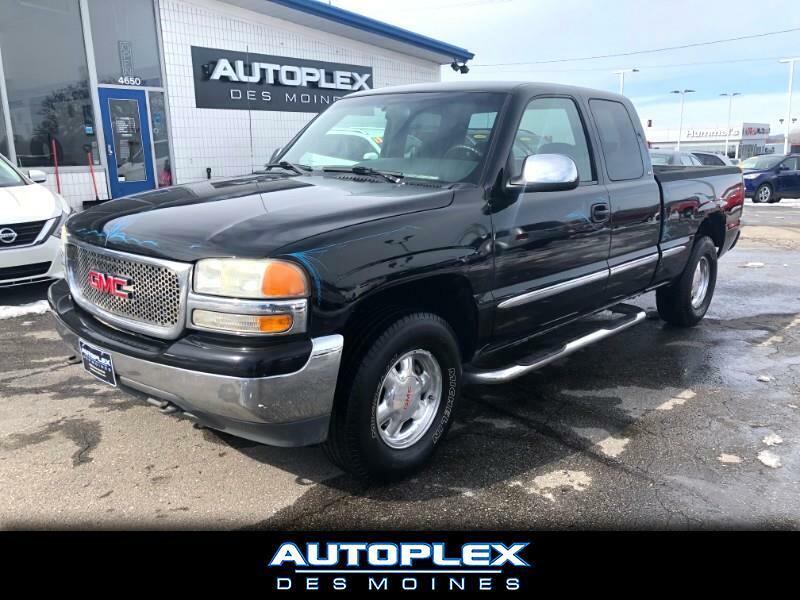 This Sierra is loaded with Power windows, Power locks, Power mirrors, AM/FM/CD Player, Cruise control, Second row bench seat, Rhino Lined bed, Keyless entry and MORE! This truck runs and drives great! Stop in today for a test drive! We offer convenient and competitive Bank and Credit Union financing for most credit types to save you both time and money. Come experience the Autoplex Des Moines Difference Today!